Energy Body Restoration ~ Free Guided Meditation with Archangel Uriel! 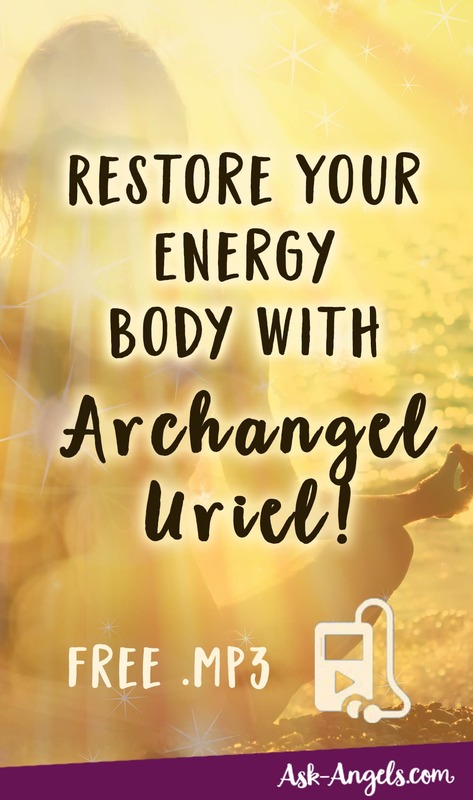 Archangel Uriel connects with the incredible light of illumination in this uplifting channeled angel message. Breathe, relax and listen to restore your energy body and to prepare yourself for the new opportunities and openings that await. Opportunities for you to become the fullness of the enlightened being you authentically are. Keep scrolling down to read the transcription of this channeling with Archangel Uriel now! Subscribe for free on YouTube here! A golden shimmering orb of iridescent light surrounding your entire being. Take a few moments to simply breathe, relax, and focus your awareness inward. Shift out of the state of the logical mind and into the realm of intuition and imagination where you can feel and sense and experience the pure brilliance of the Angelic light and energy that is all around you. I Uriel now surround you with the light of illumination to clarify your energy body of any lower vibrational forms. Breathe in, and now as you exhale, let go. Let go of tension and density, let go of judgment and limitation, let go and let the light wrap around your body, let the light fill your mind, and let the light infuse your spirit with brilliance, peace, and harmony. And now, with light all around you and light indeed within you, just relax, enjoy this moment, enjoy the warmth and serenity and peace of this moment and of the light that is all around you, that is revitalizing your energy body, that is raising your vibration, and that is realigning you with your highest vibrational state. Imagine light glowing along your spinal column, light filling your core, filling your entire physical body, filling out your aura, filling your mind. Be the light, shine with light. And from this inward focused space, become aware of your surroundings now. With your eyes still closed, tune into the objects in the room you are in, the happenings in the neighborhood or city, the surroundings near and far, and recognize the light that fills each and everyone surrounding you, recognize the light within you, the light around you, and the light that connects you to everyone and everything, for in all beings, all things and all moments, there is light. You are light and you are in this moment able to recognize this and feel this and lift in vibration to fully experience this, so that you can not only recognize your light, but recognize the light and brilliance in all. Bring your awareness back inside as we in the Angelic realms step the energy up. An ascension exercise now raising your vibration even more, not by changing you, not by changing the state of your energy, rather by restoring the truth of your radiant high vibrational self, through connecting you directly to God, Goddess, Divine Light, through helping you become aware of your direct connection with the infinite supply of illumination, of high vibrational energy, of enlightened being. 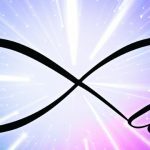 All of which are strengthened and empowered through your being the light being you are, through shining, through vibrating higher, restoring your energy body through simply becoming aware, expanding your consciousness to perceive and experience this higher vibration of truth, illuminating your higher nature. Continue now to shine, to glow, and to radiate light as you now move on from this session, refreshed and revitalized, ready to embrace the moment with love, to see the blessings, to see the light, for when you shine with the immense light that is your authentic truth, your surroundings mirror this light back in turn. God bless you Melanie for your Angel Messages. They always come at the right time and with the help needed at the moment. Your Angel messages keep me on track. Thank you so much. Before I start; I like give Glory to my Heavenly Father, that gave “Us” the Breath, of Life, & Chose the plans of His Purpose & imprinted it in our Heart, mind, soul..He new the day- the – year – the -month?–(many are called but few finds The deepest Roots of Pure Wisdom & knowledge that far passes of what,been taught the “HIDDEN”Gifts ,That you must balance the true meaning of what & who you really ARE!!! Thank you so much. I had been feeling “off” for the past few days. Others noticed it; but I just could not figure out why I was feeling this way. The moon! That is why! Thank you so much for helping me with this meditation. I am crying right now. I am so grateful for this meditation.